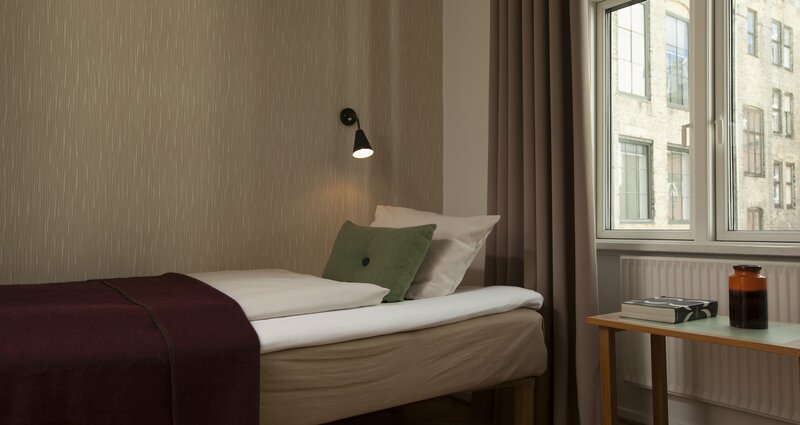 Our Small Danish Retro Rooms are approximately 11m2. The Small Danish Retro Room has a single bed and is for one person. All of the single rooms are overlooking the courtyard, and all of the rooms are dedicated to designs from the 50s or the 60s. Take a strawl around and look for Danish design books, or enjoy free Wi-Fi 24/7. Feel at home in the heart of Copenhagen. Just like visiting a Danish design loving friend, stay with us! All our rooms comes with a spacious desk and unique chairs.